Much of the debate about diplomacy with North Korea has revolved around whether it will give up its nuclear weapons. Despite Kim Jong Un’s announcement that he intends to dismantle North Korea’s nuclear arsenal by 2021, questions and ambiguities still surround the diplomatic push aimed at getting Pyongyang to pursue disarmament. It’s not hard to see why; progress has been haltingly slow since the Singapore declaration — itself not a binding agreement — was signed in June 2018. But what if North Korea is serious? The idea of any nuclear-armed state unilaterally eliminating its own stockpile seems unlikely at best. In the early 1990s, however, South Africa did just that. And while there are differences between the two cases, the lessons to be learned from the experience can help shine a light on the path forward with North Korea. First, verifying a clandestine nuclear weapons program requires creativity and looking beyond individual components. When international inspectors arrived in South Africa, discrepancies in Pretoria’s record keeping prevented them from confirming the amount of weapons-grade uranium in the country. Undeterred, the inspectors requisitioned thousands of operating records from South Africa’s enrichment plant, cross-checking these records with expert testimony about plant operations. This allowed them to develop an independent estimate of the plant’s uranium production, greatly reducing discrepancies and corroborating South Africa’s declarations. In North Korea, there are likely to be similar challenges, particularly given the greater scope and history of Pyongyang’s nuclear program. International inspectors — whether from the International Atomic Energy Agency or elsewhere — will need to approach this task holistically. Fortunately, the IAEA has made large strides in how it verifies countries’ nuclear declarations in the past few decades, particularly since their experience with the Iraqi nuclear program in the early 1990s. 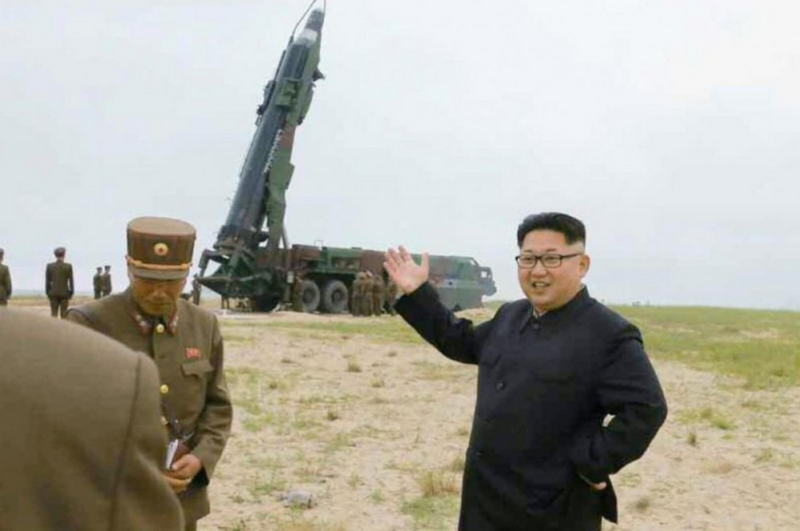 Yet even armed with these latest technical and analytical approaches, any inspectors sent to North Korea will need to have an aptitude for thinking outside-the-box. Beyond the need for good accounting, the South Africa case demonstrates that confidentiality must go hand-in-hand with impartiality. Remembering how they had been called out by IAEA member states in the agency’s meetings, Pretoria insisted that the IAEA’s findings refrain from political posturing and asked for continuity in inspections teams as a way to build and maintain trust. If North Korea decides to eliminate its arsenal, it will need assurances that sensitive conventional military capabilities are not compromised. It will also likely need the messaging that this is a win for all countries involved, as opposed to a one-sided victory by the United States. Lastly, for inspectors to be satisfied with a country’s declaration of reductions or dismantlement, they need to understand what, exactly, is necessary information to know to have confidence in such a statement. Days before Prime Minister F.W. de Klerk announced the existence of South Africa’s nuclear weapons on March 23, 1993, government officials in Pretoria destroyed significant amounts of technical documents related to weapons design and manufacturing. Given the history of distrust between all of the countries involved, it is unlikely that North Korea will be completely transparent about the full scope of its nuclear activities. It — like South Africa — may aim to obscure certain aspects of their nuclear program, particularly details it sees as politically sensitive. But that is workable, so long as inspectors are clear on what information is crucial in confirming an arsenal’s dismantlement, and what information is not. Yes, differences exist between South Africa and North Korea, and simply grafting what worked for the former onto the latter is not a wise plan. The South African government wanted an end to its international isolation when it made the decision to get rid of its nuclear weapons program. South Africa also benefited — where North Korea lost out — from the collapse of the Soviet Union and with it the disintegration of the security threats that seemingly justified its nuclear program to begin with. In Kim Jong Un’s eyes, the security threat that factored into his decision to continue the nuclear weapons program remains alive and well. He may instead be seeking a deal in which there is a fundamental transformation of the relationship between the United States and North Korea, lessening those threats in exchange for getting rid of or reducing the North Korean arsenal. While the changing times may have created the incentive for South Africa to take the disarmament plunge unilaterally, North Korea may need a negotiated agreement. But focusing purely on context misses the wider point. Yes, South Africa and North Korea are different, but they both understand that dismantlement, however daunting, can come with distinct political and economic benefits. If Washington is to motivate Pyongyang to head down that road, it will need to listen to the lessons from South Africa’s experience. Here they urge us to think creatively about verification, maintain appropriate confidentiality, and understand what really matters when it comes to authenticating any steps North Korea agrees to take. If we can do that, we can give diplomacy a chance for success.